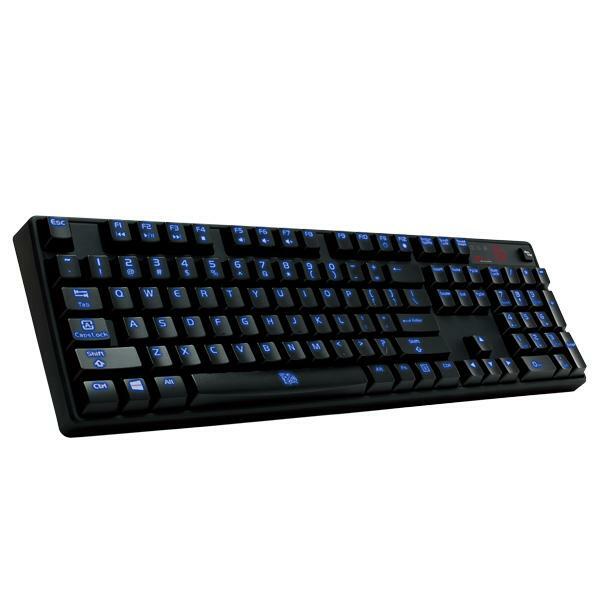 There is nothing like the feel and the sound of a good quality mechanical keyboard. A little background, I guess you would call me an old school gamer. I came from the “good ol’e days” when CRT monitors occupied half of your desk, processors were clocked in MHz, keyboards were PS/2, water cooling wasn’t sold in kits, and clans were ranked on N.A.T.O. Everyone I knew had mechanical keyboards, I guess we were spoiled back then. Well, the good ol’e days are back… to an extent. New gamers are on the hunt for a good mechanical keyboard and there are a handful of manufacturers out there that are charging premium prices for the types of keyboards we threw away. Let’s face it… a lot of things have changed about personal computing over the years. Most of the changes were definitely for the better. Keyboards… not so much. I have been disappointed year after year with keyboards. After having discarded dozens of IBM Model M keyboards and having them replaced with what I consider junk, I have always had a lingering “want”. That want hadn’t really been defined… until today when I unwrapped a slice of my past. There are two basic camps of mechanical keyboard switches; Cherry and everything else. Well, with Cherry’s patents expiring, there have been a number of clones showing up on the market, one of them by the name of Kailh. Kaihl is not one of your fly by night patent expiring, so let’s exploit it for as long as we can then hit the road companies. Kaihl switches are good. Kaihl switches are accurate and less expensive than Cherry switches. This allows companies like Tt to manufacture mechanical keyboards and sell them for less. What does that mean for you? It means that you don’t have to drop $150.00 on a keyboard. Enter the Tt eSPORTS Poseidon Z mechanical keyboard. 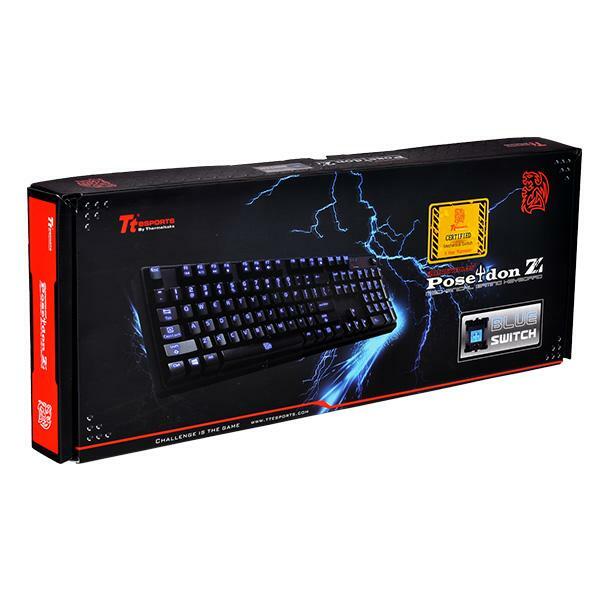 Tt eSPORTS has introduced two different lines of Poseidon keyboards… those with the Z and those without. Those without the Z sport Cherry switches and those with, Kaihl switches. While we are on the subject of Kailh switches, there are a few variants. Each of these have a different feel and sound to them. The Poseidon Z uses Blue switches. These provide plenty of sound and tactile feedback. While not obnoxious and not as forceful as the keyboards of my past, they do bring back that sensation I have been looking for. For those of you that care about things like this… on many mechanical keyboards, the actuation point is usually found after the “click”, on the Poseidon Z the actuation point is right on the click. This makes for more predictable depresses, according to Tt. Personally, even on the old style keyboards where the actuation point was completely unpredictable, I never found myself wondering if it would issue a command. My key depresses are complete and always have been. The Blue Kailh switches (found in this keyboard) offer click tactile feel, a lifespan of 50,000,000 cycles, and close to 4mm total travel. 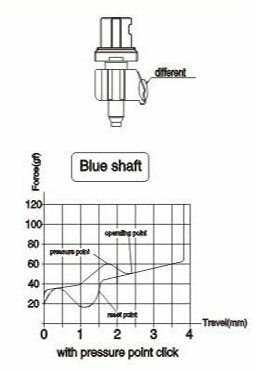 The pressure point maxes out at right around 60gf at just about 1.5mm of travel with an end force less than 80gf. The click occurs right around 2mm with an initial actuation force of 30gf. A solid contender for your next keyboard.